Biogeochemical-Argo shares the ambition to enhance ocean literacy. Combining cutting-edge research and innovative technology to observe and explore the ocean, it provides ideal foundations for science-based outreach activities. Inspired by the international network, the motivation for such activities can be twofold: firstly, they may find a place in a formal but also an informal educational context, and address a mainly non-scientific audience with a focus on young people. Secondly, they may give training opportunities centered on outreach and science communication for early career and confirmed scientists. to engage and share the acquired knowledge. The “adopt a float” outreach initiative started in 2011 with three middle-school classes. Today, several hundred school children and their teachers from all primary and secondary school levels participate and groups of bachelor students also joined. With a long-term perspective, it intends to go beyond the lifetime of single scientific projects and thus has been designed to assemble and highlight specific experiences. 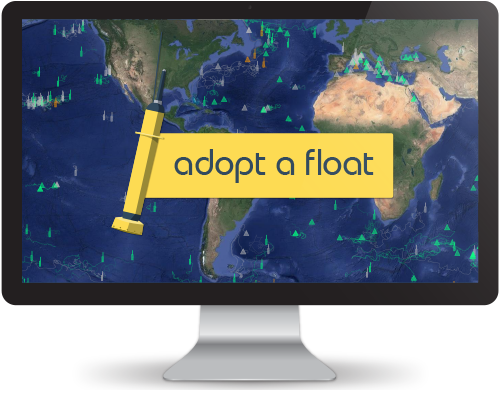 “adopt a float” seeks to connect people and combines in its participatory approach an outreach in a (in-)formal and international context with training aspects on ocean science communication for early career scientists. As an open concept, “adopt a float” is now specifically used and adapted to the Southern Ocean as part of the "USA-SOCCOM program". 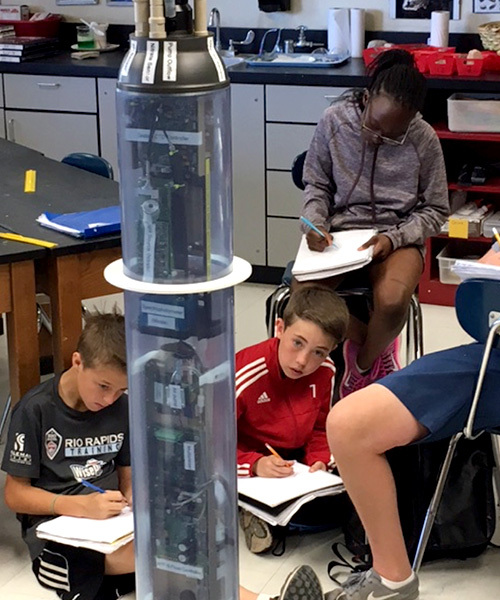 The Southern Ocean Carbon and Climate Observations and Modeling (SOCCOM) project partners with teachers and classrooms across the United States to inspire and educate students about the Southern Ocean and climate change through its “adopt a float” initiative. It creates a fun and engaging opportunity for elementary- and secondary-aged students to engage directly with world-class scientists and learn about their research by naming and tracking SOCCOM floats. The process is simple. As SOCCOM’s Adopt-a-Float lead, MBARI works directly with science teachers interested in oceanography and climate and pairs them with SOCCOM scientists scheduled to deploy floats in the Southern Ocean. MBARI then provides the teachers with background materials developed by Climate Central (reports, videos, graphics, animations) on the Southern Ocean and on the specific work being done by SOCCOM researchers. The students have the opportunity to give a soon-to-be-deployed float a name, and follow its progress to sea through blogs written by their paired SOCCOM scientists. In addition, each classroom can track its “adopted” float’s trajectory and data collection in real-time online. Copyrights © 2018 All Rights Reserved by Biogeochemical Argo.